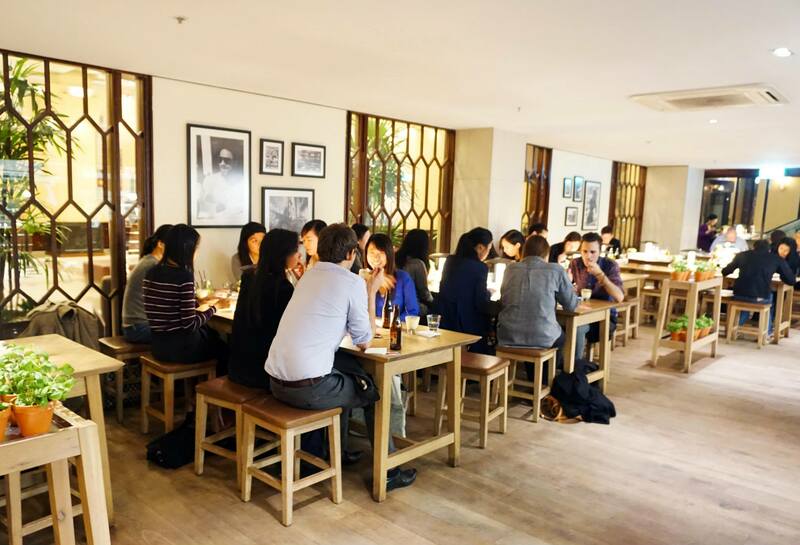 Vapiano is a global Italian restaurant chain that originated in Germany, they’ve been so successful that there are now over 135 restaurants around the world including 4 in Australia. 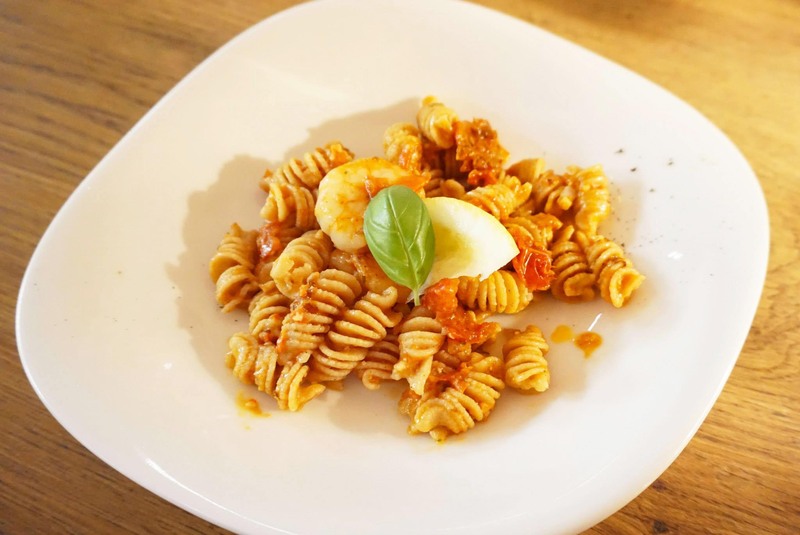 Our view of why they have been so successful is the focus on affordable and fresh Italian cuisine with a consistent experience across their restaurants, all of which use a convenient smart card payment system to charge their meals to. Those that read our posts regularly will know that we’ve both been big fans of Vapiano ever since trying the one at Surfers Paradise. I was really excited when we received an invitation to check out their new Spring menu at the recently opened Sydney restaurant. Keep on reading because we’re giving you all a chance to win a dining experience of your own at the end of this post! 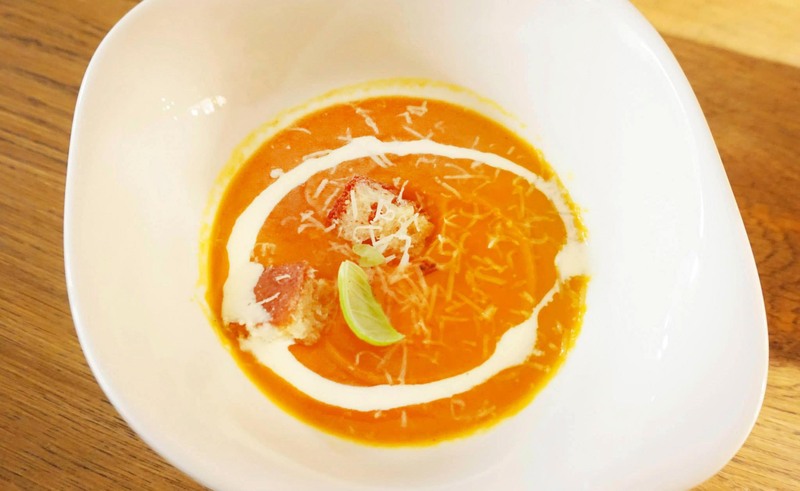 A great entrée to warm us up on a cold evening, the soup is topped with sour cream, parmesan cheese and croutons which gives it a slight sweet and sour flavour that’s simply delicious. I loved the texture of the pumpkin soup which is a very smooth puree – in fact I enjoyed it so much that I had an extra serving from Mr C. Normally it’s served with ciabatta, which would be great to dip with! The photo featured at the top of this post is the same pasta but with Fusilli instead of Conchiglie as the pasta shape. I personally love this type of pasta more as I prefer the texture compared to fettucine and penne. The prawns were delicious and I enjoyed the sun dried tomato base with pesto but I thought it could do more with a bit more chilli as I like pastas to be quite spicy. 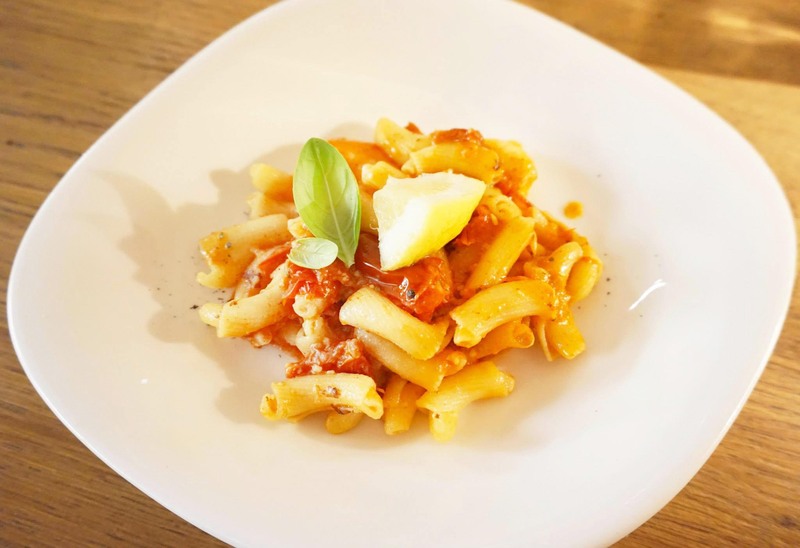 I loved the dish regardless because I’m a pasta lover and the pastas at Vapiano are made fresh right in front of you (literally) in an open kitchen! 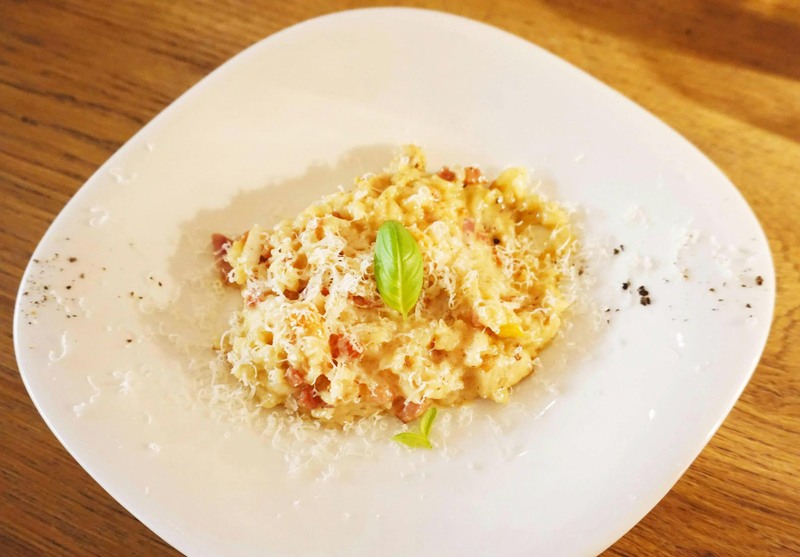 A very creamy risotto with chicken, bacon, red onion, garlic, chilli and topped with parmesan and basil which is a recurring ingredient for Vapiano. This is definitely a filler because its quite a heavy dish and is very creamy (in a good way). The chicken was a little dry but the cream balances out for an enjoyable main. 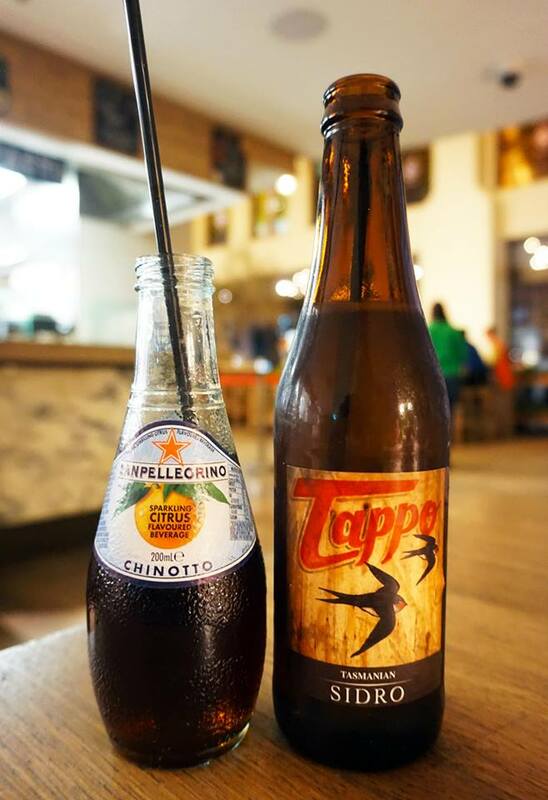 Along with the food we had a bottle of refreshing New Zealand Villa Maria Arneis, a bottle of our absolute favourite chinotto and a nice apple cider. I have to admit we’re not big on wine but I could go for plenty more bottles of the San Pellegrino soft drinks which I love! 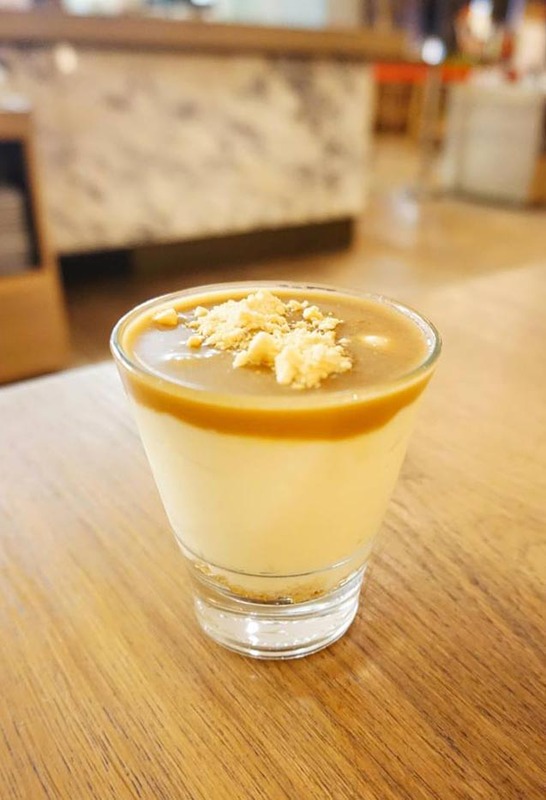 Dessert lovers, this is probably perfect for you. Salted caramel is seriously one of our favourite ingredientsbut don’t underestimate the strength because this was very sweet in flavour. The white chocolate cheesecake makes it the ultimate dessert so don’t eat too and save your stomach for this because the full serving is even bigger! I regret not finishing it because it’s just so good, definitely my highlight of the night! Mr C and Miss K attended as guests of Vapiano Australia. All views and opinions expressed in this post are our own. 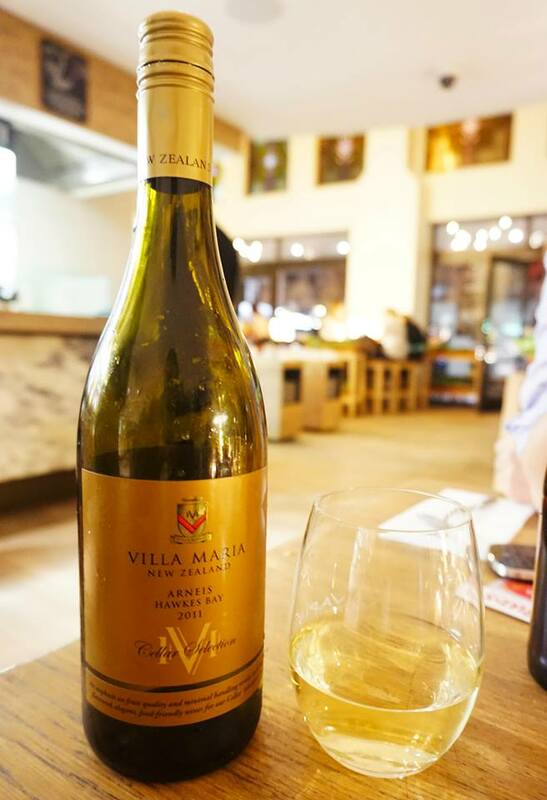 For our readers we have “FOUR Spring menu tasting for two” vouchers to give away per person at Vapiano valid until 31 October, no bookings required. Good luck to everyone who enters and don’t forget to like our Facebook page or Instagram (@fooddiarybyck) for all post updates and any future give aways that we run! How to enter: Simply leave a comment about which dish you would like to try at Vapiano and why! Closing Date: Sunday 5th October @ 9pm. We will require a response from you within 48 hours. white chocolate cheesecake with salted caramel and honeycomb! desserts are best part of any meal! Definitely the White Choc Cheesecake w/ Salted Caramel & Honeycomb because dessert is always the way to go! The Con Carne Pizza because it blends Australian and Mexican flavours into what I can imagine to be a saucy but delicious mess. It would be the Risotto Pollo Levanto for me, just love the texture & subtle flavours of a good risotto. 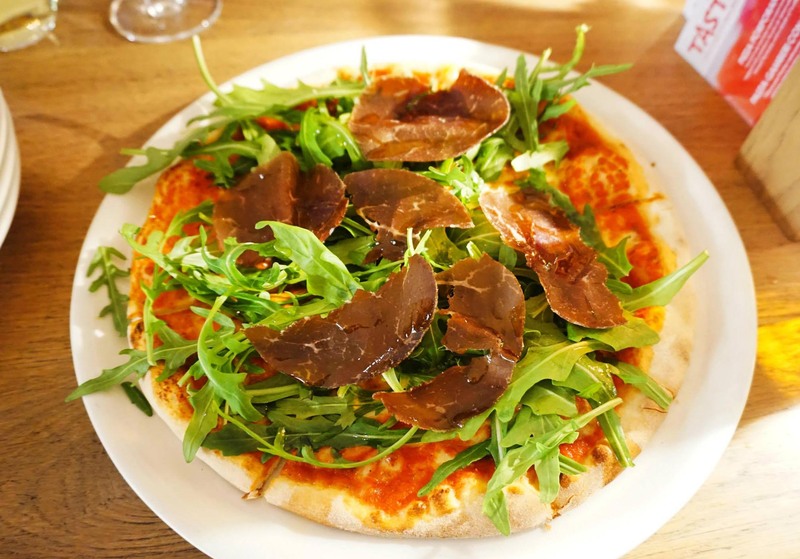 So the question is usually pizza or pasta… but I say why not both – the Pizza Porporano looks especially divine! My significant other and I love indulging in Italian cuisine ! The risotto! My favourite dish in the world. the white chocolate cheesecake with salted caramel and honeycomb. sounds like a winner. I would have to try the white chocolate cheesecake with salted caramel because anything with salted caramel is divine. The pizzas are so good! I’m a pizza fan over pasta, so gotta choose the Pizza Porporano. White Choc Cheesecake w/ Salted Caramel & Honeycomb is hands down the most delicious looking thing there! Can’t choose between the dishes, it all looks super extra amazing! The risotto pollo levanto looks amazing, I’m a huge rice fan so this dish is right up my alley! The Risotto Pollo Levanto looks simply delicious!